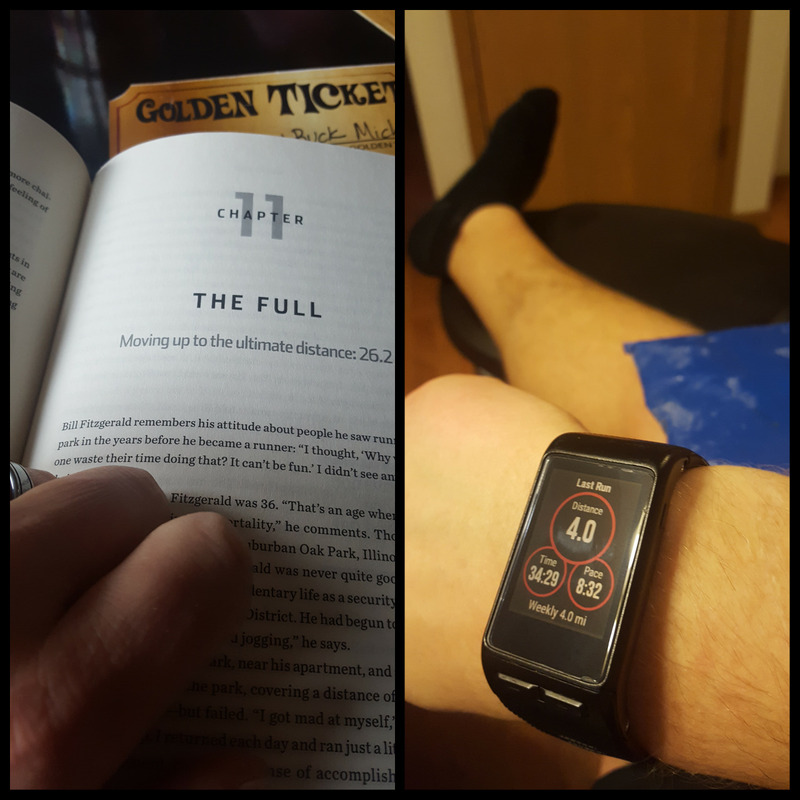 Reading and running… My marathon training doesn't start for another week and a half, but I am trying to stay in shape so I'm not behind the ball. Tuesday I kinda wanted to push to a 10k and I took it slow and steady, but I was looping around by the house and my knees were telling me to take it a little easy. I felt great and not winded, so did a couple of sprints and called it a day feeling accomplished with 4 miles of no walking. I honestly didn’t want to run, but after reading a few chapters of Hal Higdon’s Marathon book I got the itch. The final straw was when we were sitting around watching videos of Summer about a year ago and I could hear my heavy breathing. That did it. Wife and daughter took a nap, so I laced up. 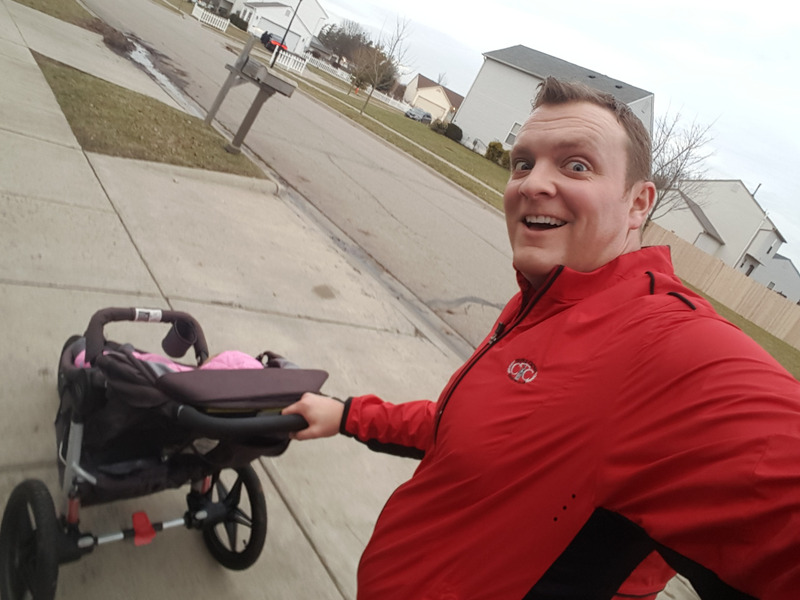 I changed my training schedule for the Youngstown Marathon. I’m sticking with the unaltered, 18 week, Novice 1 plan and doing a 5 mile warm-up before my Half during week 13, 18 mile, long run. I don’t want to tweak with the tapers. So still 2 more weeks til my marathon training starts, but loving the fact that I will hit the ground running. Literally. I have a new respect for the patience of family that put up with me running… Dawn joined a gym… First time ever and on her own. I told her I am super supportive of the idea and anytime she wanted to go that I would keep an eye on Summer. 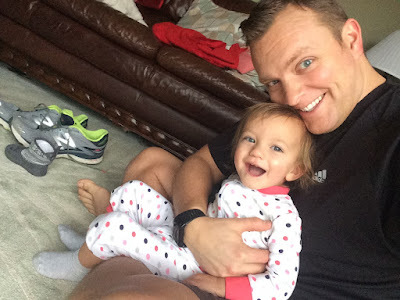 Well home appraisals are slow now and Dawn wanted to go while Summer was napping and that’s normally my running time. (Had 6.2 planned today) But I told her to go and take her time... Because rushing at the gym is never fun. Summer woke up 30 minutes before Dawn got back. She had the running stroller in the car she took. So we sat and waited for mom to get home. Daylight was running out so I squeezed in 2 miles before it got too dark. It gave me a reminder to be more observant about the time I’m putting into working out and how it will affect those around me. Either way... Summer loved riding along yesterday and every time we went up and down on the ramps between the sidewalk and roads she would yell WHEEEEE! I bundled her up in her snowsuit, but can't wait for warmer weather to finally get here. A wet, but warm weekend ahead... Today steady rain in the morning then spotty rain on and off for the rest of the day and weekend. 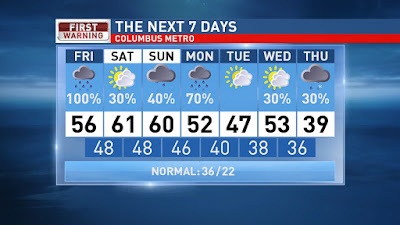 Highs will climb into the mid 50s today then low 60s for the weekend. Some fog and haze possible between the spotty rain showers. More rain likely as we start out next week, but staying mild through the middle of the week. Winter weather returns by the end of the week. Have a good one!